If you apply the information that you gain from this site, this will enhance your life so that you feel the best that you can feel–energized, and healthy. For example, did you know that foods with lots of naturally occurring color–orange, blue, red, green, yellow, and purple etc, tend to have a higher nutritional value in the form of vitamins, minerals, and micro-nutrients than processed food, especially those that are artificially colored? In fact, the artificial coloring, and sweeteners have been associated with worsening ADHD (attention deficit/hyperactivity disorder) in children (and in adults) and migraine headaches to name a few problems. When you cook, add ginger, garlic, onion and coconut oil for the beneficial effects on the gastrointestinal bacterial balance, and on the immune system. I can’t stress the importance of prenatal care enough! Obtaining prenatal care is the single most factor to contribute to lowering the infant mortality rate. Healthy moms means healthy babies, and healthy babies means less stress on the parents and decreased health care costs. Plus we’ll review factors that help to reduce miscarriage, and explain why prenatal care is so important. 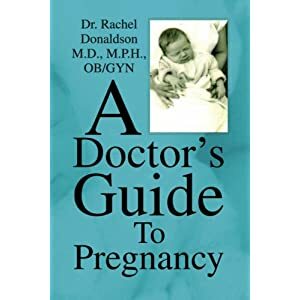 As an aid to your prenatal care you can read a very helpful guide for pregnant women: A Doctor’s Guide to Pregnancy, by Dr. Rachel Donaldson. You can get it at www.dimensions-of-wellness.com, or at www.amazon.com, www.barnesandnobles.com, or www.borders.com. Healthy living includes vitamins, (which ones are best, or do you only want mediocre, or are there some which are not helpful at all?) antioxidants, and eliminating smoking. The reason vitamins are so important in today’s day and age is that much of the food that is eaten (processed/convenience foods) are especially devoid of many of the micro-nutrients important to promote optimal health. In addition, the fruits and vegetables that are genetically modified are modified to look better, but they actually have less nutritional value than the fruits and veggies grown 50-60 years ago. When these fruits and vegetables are harvested, they have not completely ripened on the vine and then are treated with radiation to kill bugs and bacteria so that by the time these products reach the grocery store, there is less nutritional value. Click here to begin your road to healthy energetic living! For great skin care and nutrition check out this link for Arbonne products. Also check the website regularly for new information, as I will be writing an article about health issues monthly, covering various topics of interest.